Easy to engage/disengage.Colson Floor Lock Brakes are designed for use on level surfaces and are not recommended for use or inclined surfaces. It is important to select a floor lock model that clears the floor when retracted. 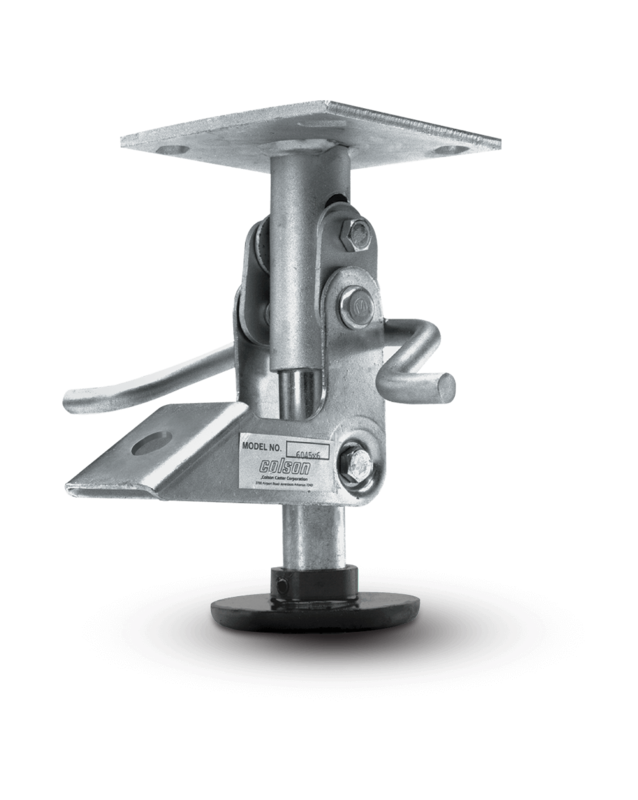 To adapt a floor lock brake to your present equipment, select a model with an extended height 1/16 inch to 1/4 inch greater than the overall height of the caster.